I lived in the Northwest for many years and taught in the Portland area. I asked to write this book. It was an amazing mental journey. 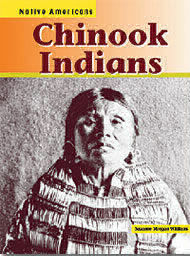 Tony Johnson, of the Chinook Tribe, was always honest and patient with me. I learned much from him. You’ll see his photos of canoe building in the Chinook Indians.